We didn't do much else in the way of fun photographic activities this week. But Sammy has been practicing his cross-eyed face a LOT. And the girls in the family are goof-balls as well. Maxine made this strawberry cake as a special order for her bakery. The woman wanted it to be ruffly like a ballerina's tutu. It turned out gorgeous. 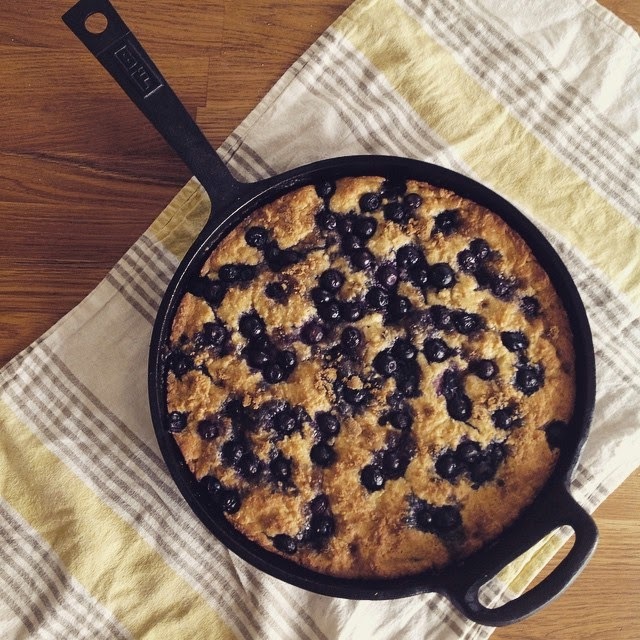 Today Maxine made this blueberry-cornmeal skillet cake. It was amazing. Skillet cakes were popular in colonial times. The only sweeteners were honey and a little bit of brown sugar on top for a crispy texture. Isaac being a great older brother and tolerating his little sister's abuse.